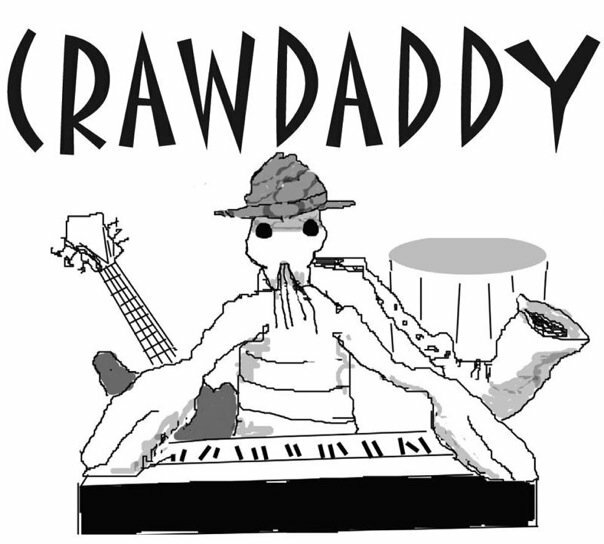 Crawdaddy will be playing on the stage for a special Sunday afternoon performance from 2-5pm! Their matinee went so well last time, and we’re pleased to have them back again! Crawdaddy is a 5 piece funky dance band with a mix of blues, rock, r&b and a touch of “newlines.” It is made up of Spector bass founder leader Stu Spector (keys, guitar, vocals), Woodstock guitar legend Jimmy Eppard (guitar, vocals), Mike Oliveri (drums,vocals), Leroy Seals (bass,vocals), and rounding out the crew is Sal Oliveri (tenor, bari saxes). The repertoire will range among tunes by the Neville Bros, Smiley Lewis, Dr. John, Little Milton, Tom Waits and many others.